Founded by Brisbane music producer Daniel Newstead, this studio delivers leading edge music production, artist development, mixing, composition, recording and education services. Daniel is able to work with any specific style or combination of styles, taking your work to the forefront of current industry standards. Offering an attentive and highly personalised service, he specialises in breaking through conventional boundaries to assist you in expanding upon the genuine and unshakable core of your creativity. I am a producer, composer, engineer, pianist, drummer, independent artist, creative collaborator and educator with over 10 years experience as a professional in the music industry. I enjoy filling my week with all of the things I am passionate about. Primarily I am an independent artist . I studied classical piano and music theory for years and I love to teach and pass on my knowledge to people of all ages. I've been using music programs and programming since I owned a computer so I know how to quickly pull sounds and take influence from any style. I've played drums and keys in many bands and toured up and down the coast so I can give you some advice on releasing your first professional song, marketing yourself, and developing a plan to take your career to the next level. I studied a Bachelor of Music at The Queensland Conservatorium of Music many years ago which gave me the environment to hone my skills and discover new ideas. From here I moved into teaching full-time while building the business I have today. I took a trip to India with my good friend Danny Mcshane who filmed a documentary called 'Waiting for Postcards' about my journey of creative discovery. The trip changed my perspective and made me quit my full-time job to pursue my passions. Now I'm doing just that. I have a solo electro/acoustic project which is always evolving and aims to push boundaries internally and externally. I teach because it gives me great satisfaction that I can encourage others to follow a creative life. I make music for others and and I help artists to get their message across. - A singer/songwriter looking for someone to transform your demo into a fully produced commercial quality song. - An artist looking for an honest opinion about their music and a plan to get things off the ground. - An artist looking for someone to mix your home recording and make it sound professional. - A film maker or content creator looking for specific music to compliment your visuals. - An app developer looking for custom music of any style. - A musician or producer looking for some knowledge in a particular program (Protools, Logic, Garageband, Ableton or Resolume). - An electronic music producer looking for knowledge in music theory and keyboard skills. NOTE FOR FULL PRODUCTION PACKAGE: It is generally a good idea to book a couple of months ahead. Please contact me here and send your demos to get the ball rolling. COMPREHENSIVE MUSIC PRODUCTION and artist development PACKAGE. I can work with you to produce and record your song ready for distribution to the world. Whatever style you work in I can achieve the sound. Sometimes an artist will come to me with a specific sound they want to achieve. Other times they may want me to help them find a style that suits them. I can work to specific references if you want or I can experiment with you to create something unique. The music production process usually involves the following things. Making sure the structure, chords, melodies, hooks and lyrics are the best they can be. Some of this can be done before you come into the studio as I like to give honest and lengthy feedback after hearing demos. When you come into the studio I will map your demo to a session and we can chop things up and re-arrange as a guide for the structure if needed. Usually I like to record a quick demo (vocal and piano/guitar) so we can play with the sections and chords if necessary. Although it's good to be spontaneous sometimes, I do like to get a general feel for what you want it to sound like. We will discuss some reference tracks, styles, or particular artists that you feel the song could take influence from and then make decisions on what could work for your song. After the plan of attack is set we will build the song up from the demo. The demo vocal will be there so we can hear what works around that. I usually like to start with drums and supporting instrumentation (bass, keys, guitars). From here we will add as many parts/sounds/bells and whistles as it needs until we are both happy. As the song is being recorded it will take shape and eventually just need minor tweaking for the final mix. If the parts and sounds are all working together in the recording phase then it will not take long to have a polished mix. I will give you a final mix and then you can go away and listen to this for a while on different systems. You can then send me as many notes as you want and I'll tweak it until you're getting goosebumps. Mastering is available only to clients who I have mixed. I don't take on mastering jobs by themselves. The reason for this is because I aim to achieve a finished product during the mix stage. If you would prefer to use a specialist mastering engineer I can recommend some local studios. Then you get it duplicated, upload it to iTunes, announce on Facebook that your new single/EP/Album is released! You will be very excited about releasing this to the world because you've been playing the songs forever and you're ready to start writing new songs. I've been there before many times and I've made many mistakes. I've also seen a lot of other independent artists miss out on valuable exposure because they didn't have a good release plan in place. Spend time planning the release. You will be glad you did it. It may be your first song and you're just happy releasing it to your mates on Facebook BUT. You should take the time to plan out the release so you get more than just a few likes on a post. It will also be good practice for future releases. Once everything is complete I will give you some realistic advice on where to go from here. It really depends on your style, your goals and your $$$. If you're low on marketing money I can help you with some DIY strategies for getting the best possible response. $$$ Depends on where it's screening. I am a specialist in composing music to brief. If you are looking for a particular type of music or a 'soundalike' composition I can produce whatever you are looking for. If you've recorded your music at home or another studio I can take those stems and work magic on them. You will be amazed at the difference that can be achieved in the mix stage. Primarily I mix in Logic Pro X but I am able to read Protools and Ableton sessions too. Stems are preferred and people will give me .wav files at the highest recorded sample rate (usually 44.1k or 48k) and 24bit. If you need help exporting stems I am happy to guide you through the process. The price will depend on style, number of tracks and generally how complex the mix is. An acoustic guitar and vocal will not be as complicated as an 80 track EDM banger where the mix can sometimes be the 'production'. If you've purchased a beat online and only have access to the stereo file, although it isn't ideal, I can still achieve a decent mix and master. If you're after an engineer to press record and make your instruments sound as good as they can, I have the facilities to record most instruments except a drum kit. If you have the budget for recording in a larger studio I will secure a bigger room for the drum recording and we can do the rest at my project studio. If this is not in your budget I have a wide range of real drum samples that can be programmed to sound amazing and real. Other jobs which fall under this category may be demo recording, vocal recording, overdubbing small parts or editing jobs. Most solo artists I work with will opt for the comprehensive music production option as this is a more detailed process where I work with you and get inside the music to do magical things. I have played piano for 20 years and studied the AMEB series up to 8th grade. I casually lecture music production at a tertiary level and I offer piano lessons to people of all ages. I offer tuition in music production, Logic ProX, Protools, Ableton Live and Native Instruments. DY-MARK (Paint) - Voice over for instructional videos. SOUL SOUND DESIGN - Collaboration. SOUNDS LIKE BUTTER - Collaboration and composition. SUZUKI - Composition for advertisement. POPGUN LABS - Music Production for AI applications. ZOVA (iPHONE APP - APPLE DESIGN AWARD WINNER 2016) - Writing and production. NORTH STATE CINEMA (Film Company) - Music for Teaser. MANNY JAMES COLE - Composition and production for films. COLIN BARRASS (POP) - Recording and production. DALE HUBBARD (COMPOSER/Music for meditation) - Recording and mixing. DEADSET (HIPHOP)- co-writing, recording, production and mixing. DAVE LUKE (POP, SINGER/SONGWRITER) - Recording, production, mixing and mastering. 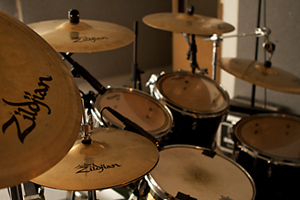 GRIMMER (ALTERNATIVE/ELECTRONIC) - Recording, mixing and session drummer. MARK J (POP/ELECTRONIC) - Recording, production and mixing. MARINA JOZINOVIC (POP/ELECTRONIC) - Co-writing, recording production and mixing. MIDNIGHT SHOW (ROCK) - Recording and mixing. MAIKEE - (POP/ELECTRONIC) - Co-writing, production, recording and mixing. MORGAN McMANUS - Collaboration, recording, production and mixing. MULES MECCA (Producer) - Mixing. O' LITTLE SISTER (FOLK/ELECTRONIC) - Co-writing, recording, production and mixing. PHI (ELECTRONIC/POP/EDM) - Co-writing, recording, production and mixing. RACHEL KOSTER (POP/MEDITATION) - Recording and mixing. RAXFEN (ELECTRONIC) - Mix and master. SAMUEL JAMES - (ALT, ELEC, RAP, HEAVY) - Co-write, produce, record, mix and master. SCRIPTED DIALECTS (HIPHOP) - Mixing. SLAUGHTERHOUSE (HIPHOP) - Assistant engineer for 3rd party promotion. SWITCHKICKER (After People Records) - (Electronic/Rock/Industrial) - Session drummer. VAPORIZE (ROCK/INDIE)- Recording and mixing. ZILCH (ALTERNATIVE/ROCK/RAP) - Recording, production and mixing.